When choosing the right grass for your landscape we will help you decide the best solution for your property. We look at drainage, moisture levels, and other factors that contribute to that decision so that you can count on a long lasting lawn. 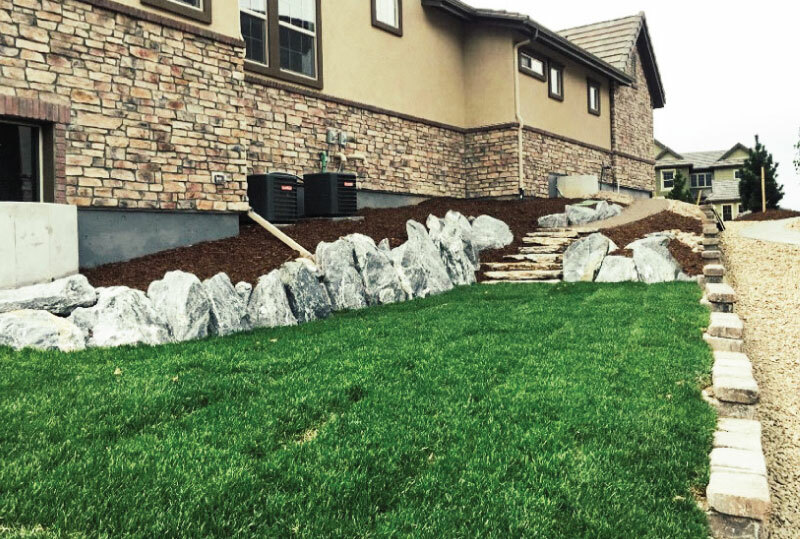 A proper irrigation install is incredibly important especially here in Colorado. 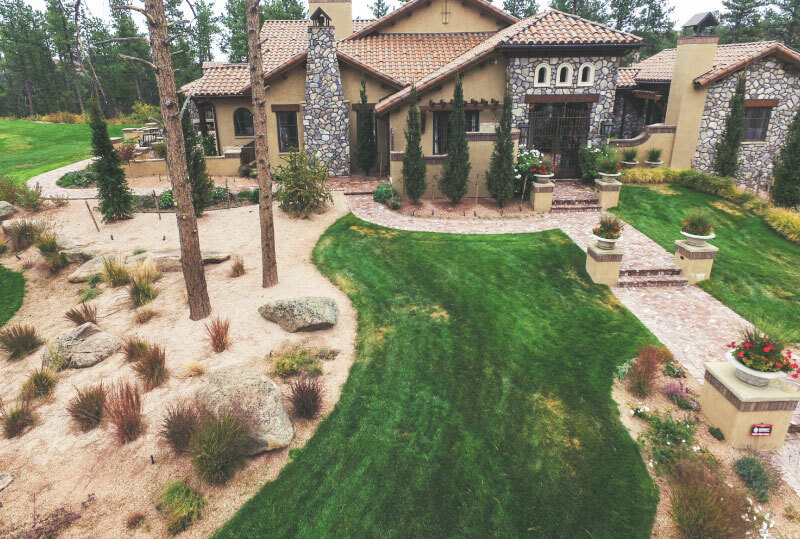 Our expert team will install your irrigation system so that future maintenance is as limited as possible. 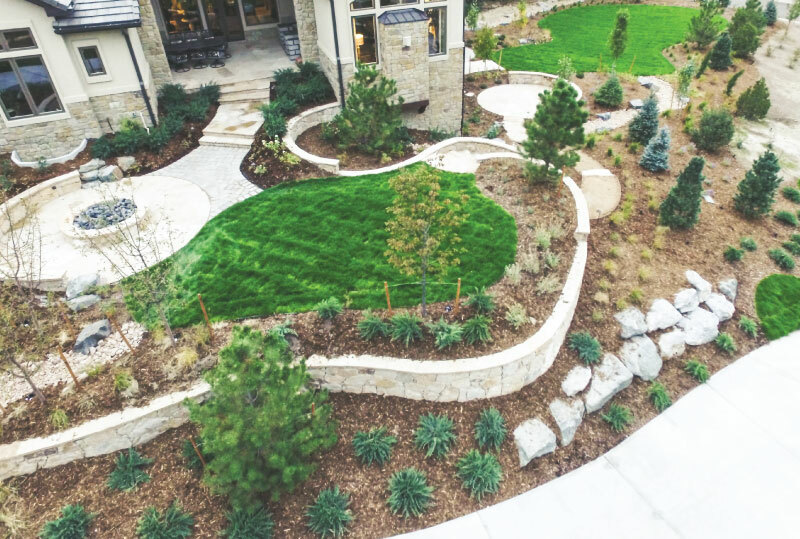 Choose from multiple irrigation systems and platforms that can best complete your landscape design. Synthetic grass is becoming a much more popular choice due to the primary reason of care and water treatment needed. The industry is catching up with the need for a real looking and feeling turf. Want synthetic? We’ll help you make the right choice. Maintenance happens and we are here to help. Depending on the size of the repair or the nature of the repair we can be here to help. Need some help? Give us a call and we’ll point you in the right direction. We are your one stop shop landscaping contractors. Thinking of Turf? Get a quote today. We offer a ZERO OBLIGATION FREE QUOTE for Turf. We can discuss plans, design, location, budgets, and ensure we find the best solution for you to transform your space into something beautiful. Click below and set up a FREE QUOTE today.